Not a big fan Sam Smiths beers (with the exception of taddy porter) but this is still a great old boozer. If you want a proper old school pub then give it a whirl. 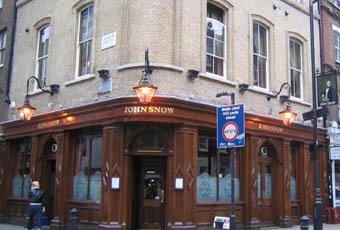 I was just in this pub tonight. I was having a quiet beer outside when a fight started between two people from inside. One of them spat at the other. Very disappointing! I like Samuel Smith Pubs, but this is probably the worst one I have ever been to. The toilets were disgusting, the location is poor, the people in (and outside) the bar were far too aggressive. If you want a nice pub in this area go to the White Horse, same license holders but a much better atmosphere. Stoike a loight, it's Maori Parpens!